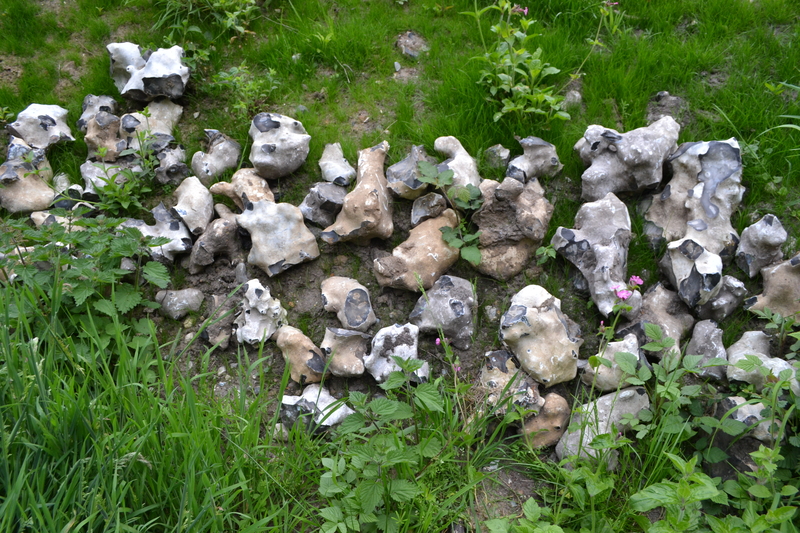 Rediscovered/Restored: Where is St. Fursey’s holy well of Burgh Castle? Here is potentially a little known holy well of note. It is absent from Charles Hope’s pioneering 1893 work Legendary Lore of Holy Wells nor did it fall into the net of Jeremy Harte’s 2008 Holy Wells sourcebook! Its exact history and provenance is under question but if genuine it is a survival of that early time of Christianisation in East Anglia. 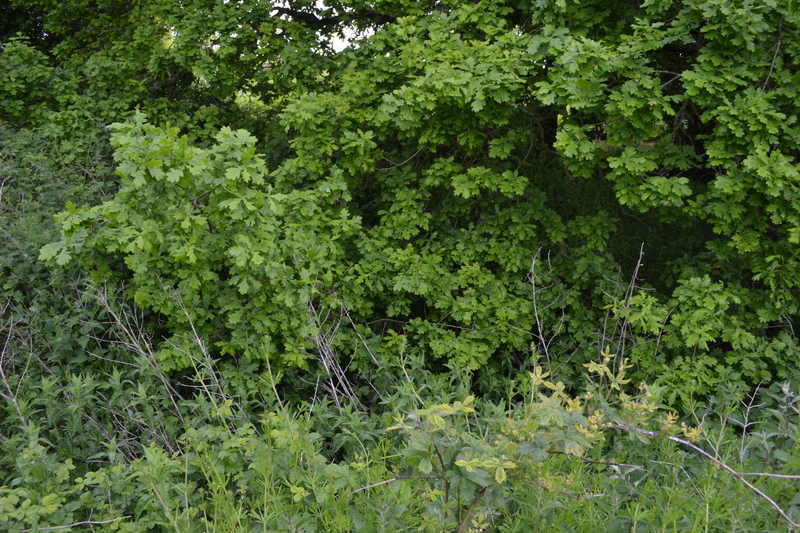 The possible site I rediscovered during research for my forthcoming book on Norfolk holy and healing wells…but as always things are not always as clear cut as that! By 1928 although the site was already overgrown it remained visible until the 1950s but research in the 1980s failed to find any trace. Scott (1902) appears to suggest that the Roman well at the foot of the cliffs is the said site marked on the 1883 OS. However, this would be at odds with the report by Saul (2007) in their portrait of the village in the 1950s which states that the well is firmly in the churchyard. It is possible that there of course two wells and they have become confused. The question being of course why would Canon Venables restore a well which was not a holy one (but perhaps he did also restore that in the churchyard) and why does Dahl (1913) not mention the churchyard site? 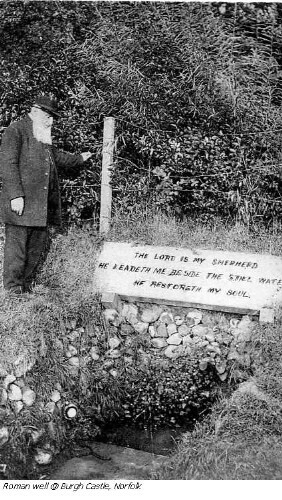 St. Fursey was an Irish missionary saint who had built a monastery at Burgh and as far as I am aware this is the only dedication to him in the country. The well above appears lost but the churchyard well, and therefore the more likely origin well survives albeit nearly lost under a considerable amount of ivy and surrounded by nettles in a forgotten section of the churchyard is St. Fursey’s Well (TG 476 049). The site is not recorded by any authorities that I can find. 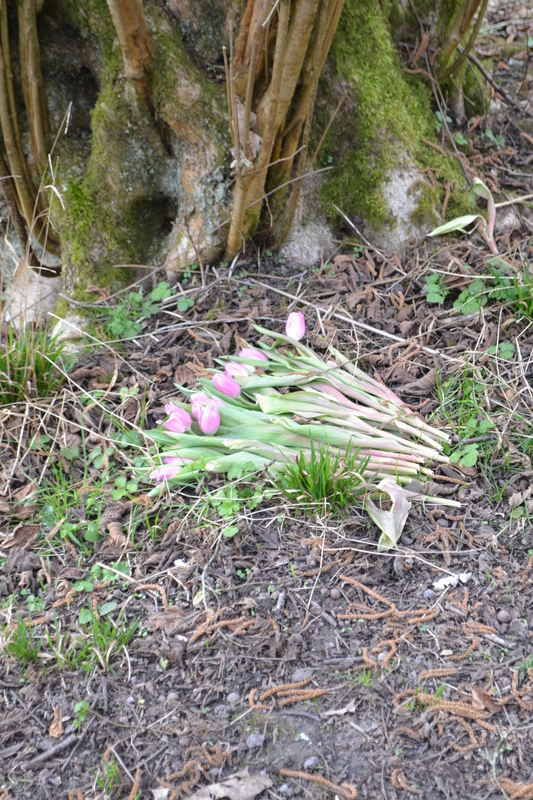 Although dry and looking forlorn, St. Fursey’s Well can be easily found. 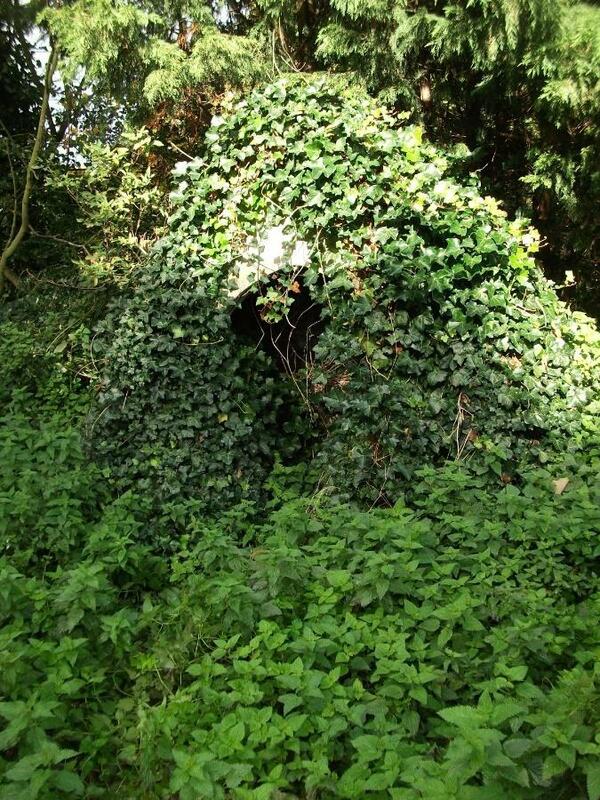 It is a six foot brick built arch structure, two feet deep and much covered with ivy. The brick is plastered over although parts of this plaster are crumbling due to the action of the ivy. It resembles many small well chapels covering wells in Cornwall and is not seen elsewhere in the county and probably dates from the 1800s. Hopefully it can be restored with a flow – if there ever was one that is – such is the confusion over this site. 2016 is a 1000 years since the death of St. Walstan. Now he may not be a very familiar saint and one that you may not think is readily associated with holy wells, however he is. Furthermore, he is unusually associated with three holy wells, in an area not always readily associated with such sites- East Anglia – which in itself is a rare occurrence. 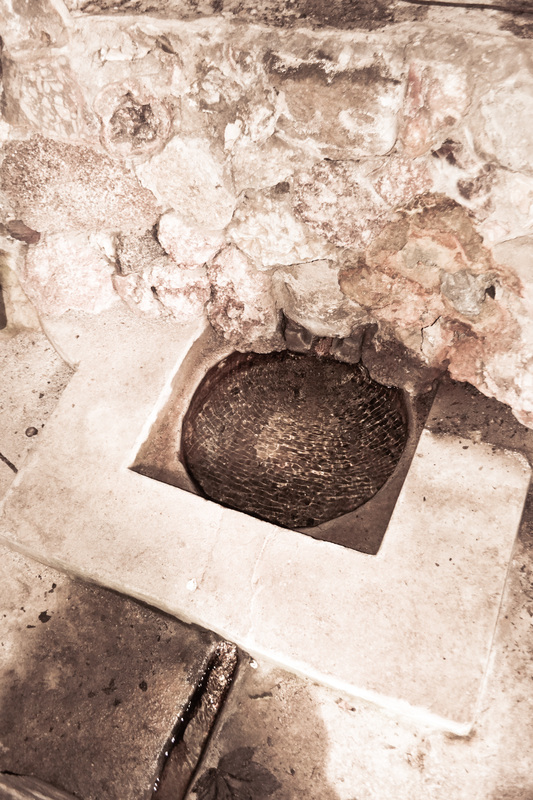 Not only that, however, unlike other multiple applications these wells are said to have a direct connection with the saint’s life and death. St Walstan was according to most accounts an Anglo-Saxon prince, the son of Blida and Benedict. Most accounts place his birth at Bawburgh (more of this place later) and his life appeared restricted to the west of Norwich. Despite being a royal he forsook the crown and all its privileges to become a simple farm labourer, giving whatever wealth he had to help the poor. After his death a localised cult developed, which grew and grew and in a way outlived the Reformation, as a saint for farmers and animals. In 2016 I decided to seek each of these wells and follow as close as possible the journey that St. Walstan is said to have made which resulted in these springs – Taverham, Costesssey and Bawburgh. 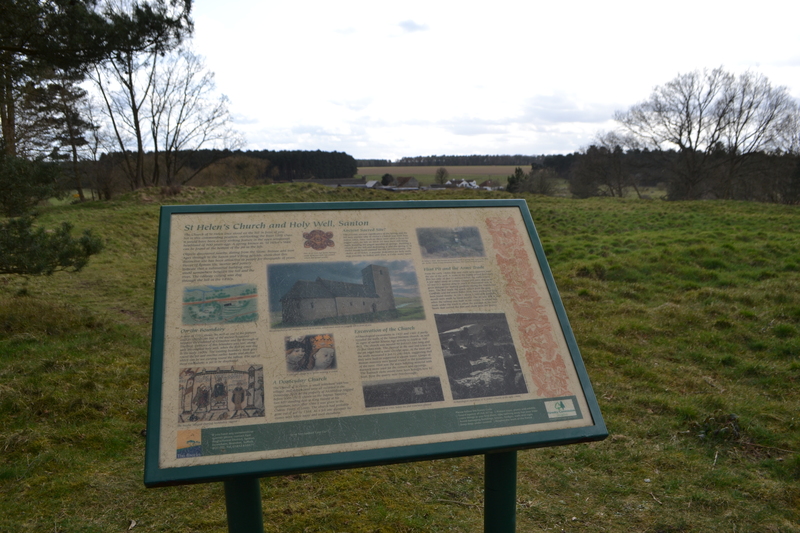 Already I have tried to locate the first at Taverham’s and found the restored site at Costessey, now the easiest to find – that at the location of the saint’s shrine church, Bawburgh. “ye other ox staled; a well sprang anon next beyond ye parsonage”. What is interesting is the use of the word, stalled which may be O.E for ‘come to a halt’ or with one l, staled meaning ‘urinated’! The later perhaps recording a more significant role for the white oxen. 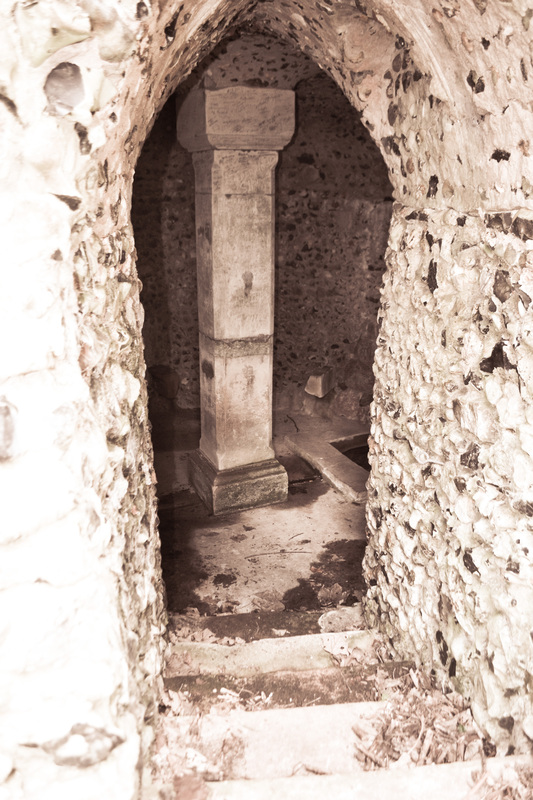 From this point on the well and especially the saint’s shrine was the goal of pilgrims, first from neighbouring villages, and then from Norwich (along Earlham Green Lane), and then after the news of its powers spread across England from farther afield. In particular farmers would bring their sick animals to the well to have them cured. In fact the well and shrine were so popular that a college of priests were established to control and administer the large numbers of pilgrims. However, although it was apparently the shrine which was the goal, of the eleven medieval miracles associated with the saint, only two are associated with the holy well. One being that of Swanton’s son and the other of Sir Gregory Lovell. In the former, a man called Swanton had a lame son. Together they prayed to God and St Walston and bathed in the water from the Holy Well. The son recovered and ‘now goeth right up and his health hath’. Unfortunately as with most shrines the Reformation had a destructive effect, and the shrine was dismantled, its relics scattered over the fields and lost forever. Sadly his shrine lay in the north side of the church and was destroyed in the purges of Henry VIII and his relics burned. The removal of the chapel meant that the north side had no supporting side and hence a buttress had to be placed there! This has continued until recent years and even in recent times local farmers believe in its livestock curing properties. 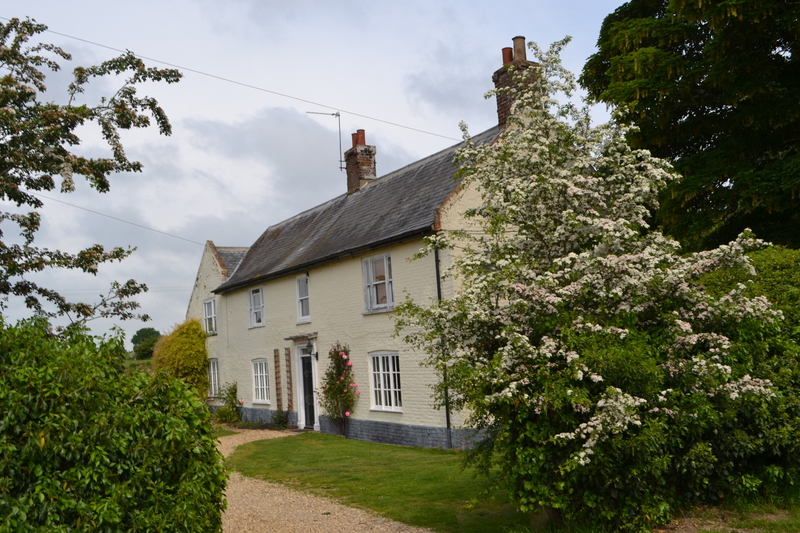 In 1928 the Norfolk and Norwich Archaeological society during an excursion to Bawburgh were told by the Revd Gabriel Young of the story of a local farmer and churchwarden, who had recently died, called Mr. James Sparrow of Church Farm who had a sick mare. The mare was so inflicted with sores that he had to have her put down, at which point a farm boy asked if he could treat her with the well’s water. This is apparently he did and after 10 days of the treatment was cured. The farmer apparently put its powers down to chemical or vegetable substances, rather than miracles, although no chemical analysis has been able to identify these. Its water was so pure that it was sold in the streets of Norwich. However religious pilgrims only begun to return en masse to the well in the 19th Century. This appeared to be the result of a number of miracles associated with the distribution of its water. The earliest recorded of these involved a Francis Bunn. In 1810 he had joining the militia, but was within five years discharged suffering from ‘incurable ulcers.’ Hearing St Walstan’s well in 1818 after moving to live at Costessey, he walked the three miles to the well to apply the water to his leg. Remarkably his wounds were healed and Husenbeth recorded that they continued to heal up to Bunn’s death in November 1856. The next miracle involved Sister St John Chrysostom, of the Hammersmith Convent. She fell ill in 1838, and was so close to death that the Mother Abbess suggested that she should seek a cure through the moss of St Walstan’s Well. However she disagreed and preferred to put her faith in the healing power of her medallion of the Virgin Mother. Incredibly it is said that as she held this medal to her stomach it was heard to say: ‘drink some water poured from the moss from St Walstan’s Well.’ Taking this as good advice she did so at once, and upon swallowing this moss exclaimed that she was cured! An account in the Eastern Daily Press of 1913 dubbed it A Norfolk Lourdes and recorded the cure of a London Catholic who had been suffering from eye troubles for some time. It is reported that he saw a number of specialists and was told than the man was likely to loss his sight altogether. The apparently the man remembered the moss he had taken from the well the year before, applied it to his eye using the well’s water. The following day his eye sight was restored. The doctor pronounced him cured. He is said to be determined to join 300 other Catholics from congregations in Norwich, Costessey and Wymondham to give thanks. In 2016 I decided to seek each of these wells and follow as close as possible the journey that St. Walstan is said to have made which resulted in these springs – Taverham, Costesssey and Bawburgh. Already I have tried to locate the first at Taverham’s and now I turn to Costessey. However, the author does note that the year after a second attempt in the company of a Robert Akins revealed something. However this was soon under threat from an extension of the Costessey Park Golf course, this is presumably where Harte gets his information from. However, this golf course extension would be the saviour of the site not its nemesis. Speaking with Mr. Larry Rowe Costessey Golf Course manager, I was informed that when he purchased the land to extend the golf course, he was informed of the well and its history but doubted its existence. Indeed, there appeared to be some debate on its location, however, in October 2013 as Twinch (2015) notes the precise location was revised by Norfolk County Council based on Ordnance Survey second edition. Mr Rowe and his groundsmen went to the location and tried to find it. They at first were unsuccessful but looking down from a small piece of rising ground they noticed a dip with a silver birch tree in the centre. It was removed and a quantity of loose flints were revealed. It is unclear whether with Mr. Rowe was aware of the earlier discoveries. The well is described as around 12 feet in diameter, with about eight foot sloping walls lined with flints and flints deposited at the bottom. 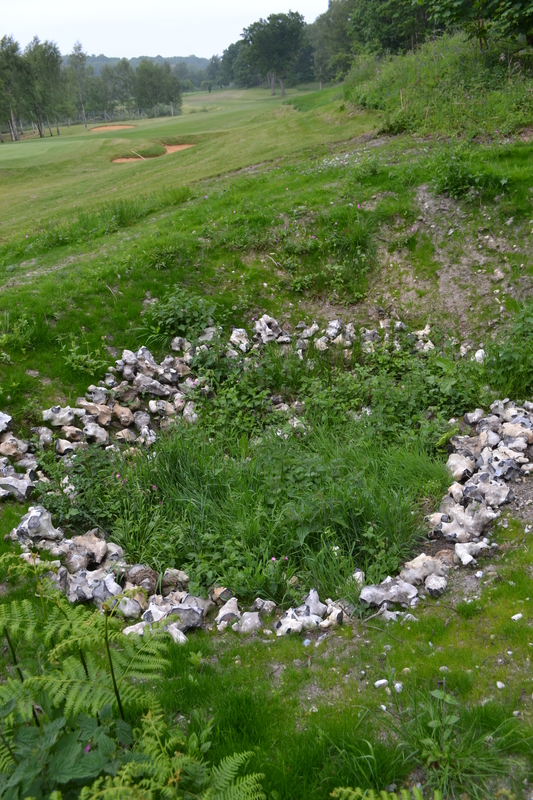 According to Rose of Norfolk Archaeological Unit defined it as a deep circular pit with a diameter of 12 feet and a depth of six feet with lumps of flint walling at the bottom. It was identified as being medieval in date and suggested that it once had a passage entering it from one side, which could not now be traced. 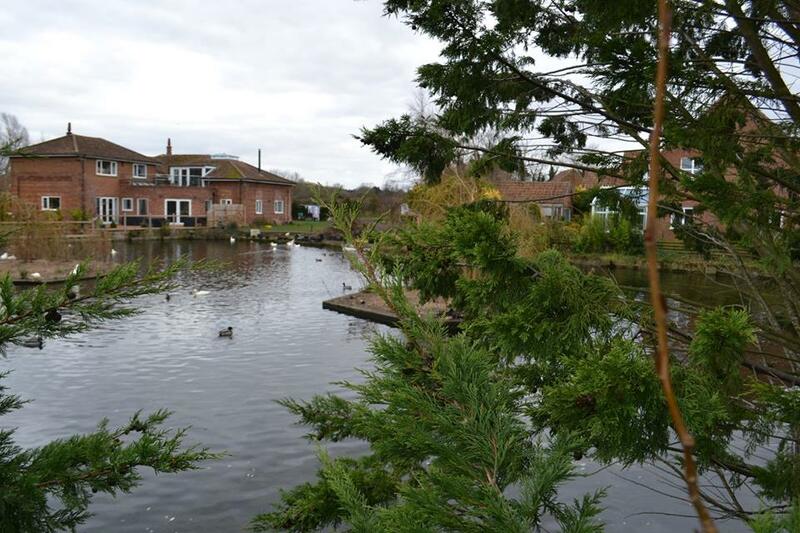 Despite the concern from local residents it would be destroyed by the golf course, Mr Rowe agreed to preserve it. 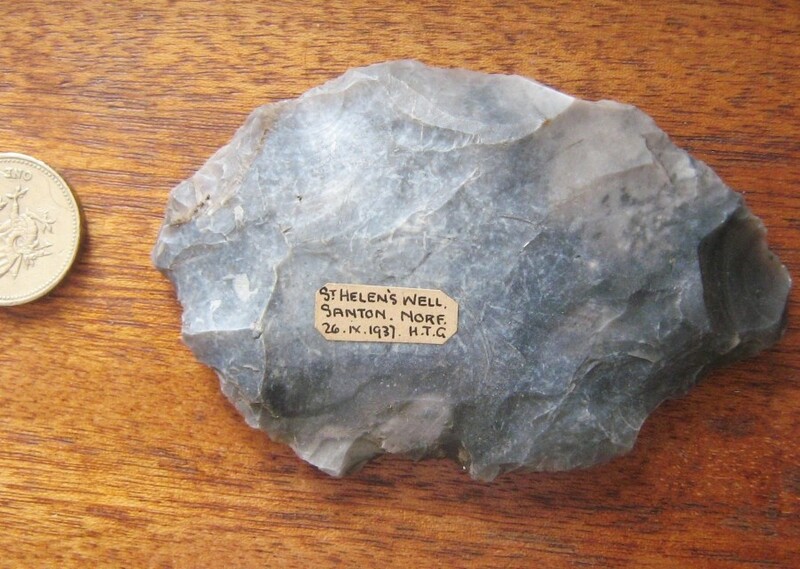 In May 2015 a flint from the well was presented to Father David Ward of Our Lady and St. Walstan Roman Catholic church in the village and this was set into the gable end of the old dinning wall of the 1837 presbytery, predesignated a garden room. Then in April 2017, after a wooden painted sign was erected at the well, made from a door frame of the Catholic Church, it was rededicated and blessed by the said church. 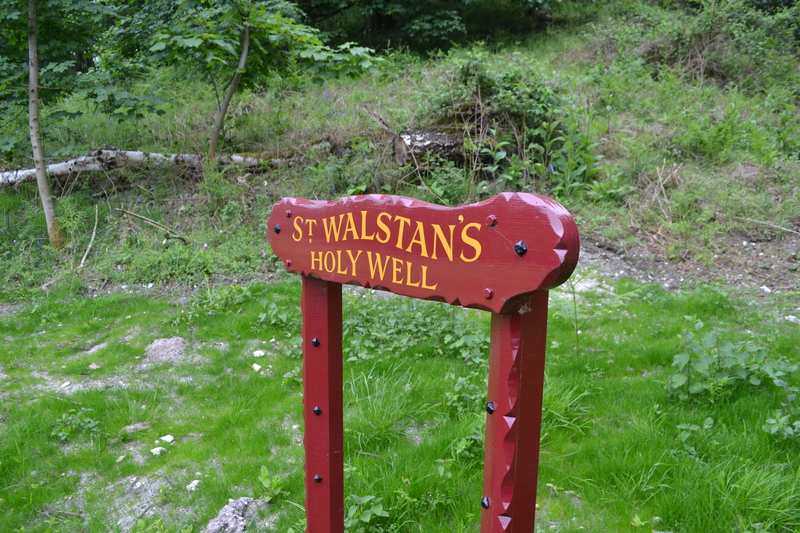 The sign states: ‘St Walstan’s Well Holy Well’. 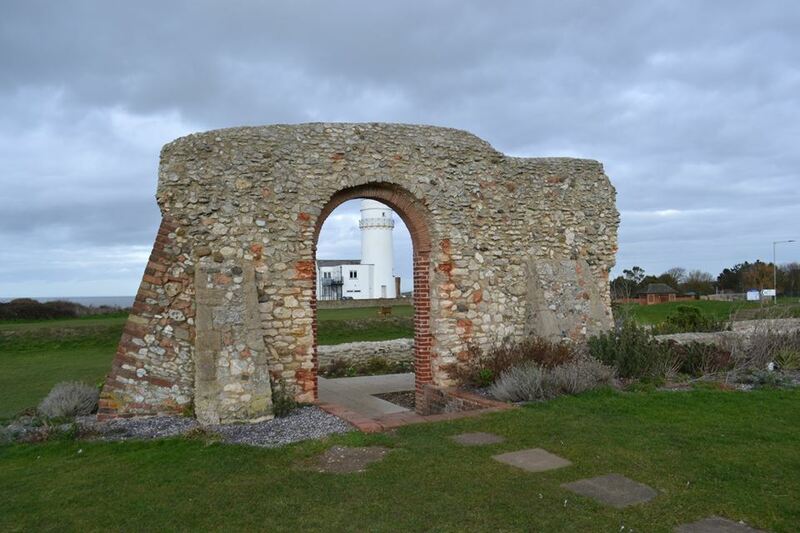 Whilst perhaps not the most visually impacting of the county’s well, but its rediscovery and preservation is great testament to the joint efforts of local people. The well is now protected and preserved. Although dry the flint rows are interesting and fairly unique, interestingly only the well of the Anglican shrine at Walsingham has a similar design emphasising perhaps its Saxon origin. It is good to see this important site preserved and remembered. Please note St Walstan’s Well is in the far corner of Costessey Park Golf Course and as such inaccessible without permission. I found the owner receptive to my enquiries however and would be best visited in the winter months or during the evening, post six o’clock, when there is less play. In 2016 I decided to seek each of these wells and follow as close as possible the journey that St. Walstan is said to have made which resulted in these springs – Taverham, Costesssey and Bawburgh. 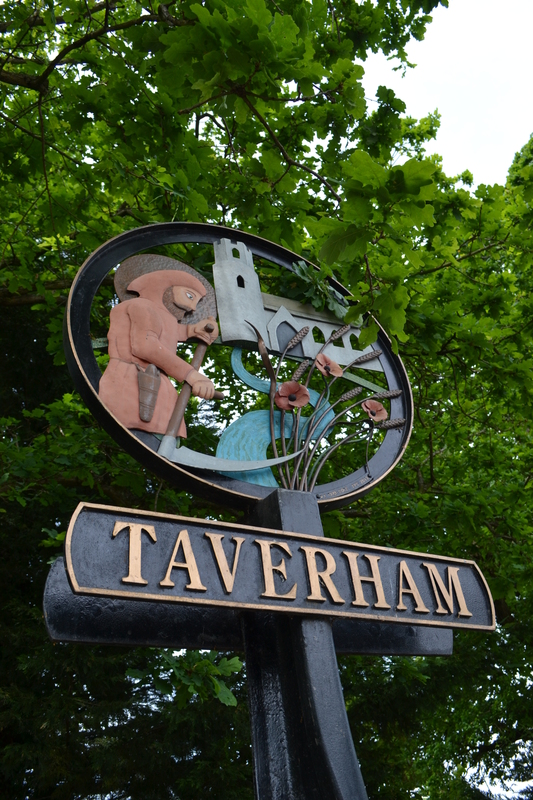 Sadly, Taverham’s St. Walstan’s Well is lost…but that does not stop me looking for it! 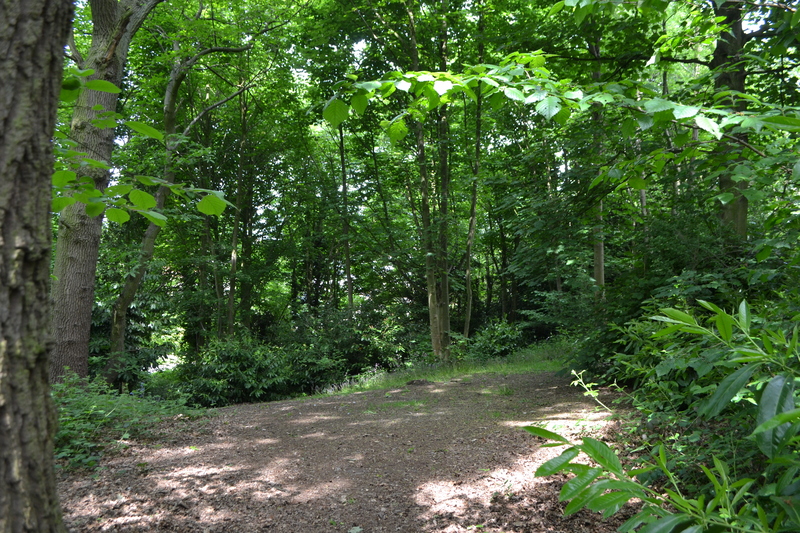 This is said to be copse below the church and thus close to the crossing, now presumably the bridge. Credence is also given to the fact that in 1859 it was sated that a well still existed there. This location was perhaps synonymous with that named in 17th century terriers as Walstan Wong. They place it at TG 1630 1410, north the church along Nightingale drive. The area is urbanised so no evidence can be found there. However, it is interesting to note that on the current OS there is a Walsingham Plantation, are these the same and has consonantal drift over the centuries? There is no well or spring now marked here and presumably any one would have been lost when the area was afforested. Support to this being a location is perhaps that there is another Walstan wood noted in the nearby parish of Ringland. Are they connected? Sounds convincing and especially now this wood is not far from the village sign which shows the saint with his scythe. The wood that exists is probably much smaller than the original one and the name suggestions that derives from the spring of St. Walstan’s Well. However, I surveyed the site and I believe I can quickly dismiss it as a site as a possibility. All the trees appear to be the same age and there is no ancient forest indicator species. Why is this important? This would suggest that the ‘spring’ is from the 18th century term for an afforested area not a water source. 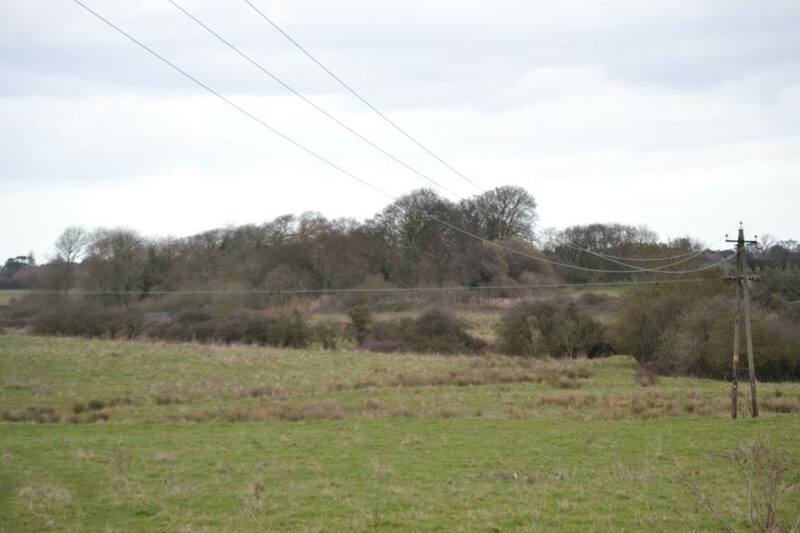 This would make it approximate to Breck Farm, which is believed to be near the site of Walstan’s Nagla farm, where he died, although no exact location has been determined. Whilst there a survey of the area does reveal a small water source forming a relatively deep brook channel, a field distance from the farm and beside a footpath at TG 168 150. The water could equally be a field drain, however the oval depression is too overgrown to reveal anything. Interestingly, Carol Twinch in her 2015 St. Walstan the third search informs us that carvings of figures in clerical dress knealing before a female figure, presumably the Virgin Mary have been found in the nearby Attlebridge/Morton on the Hill area. 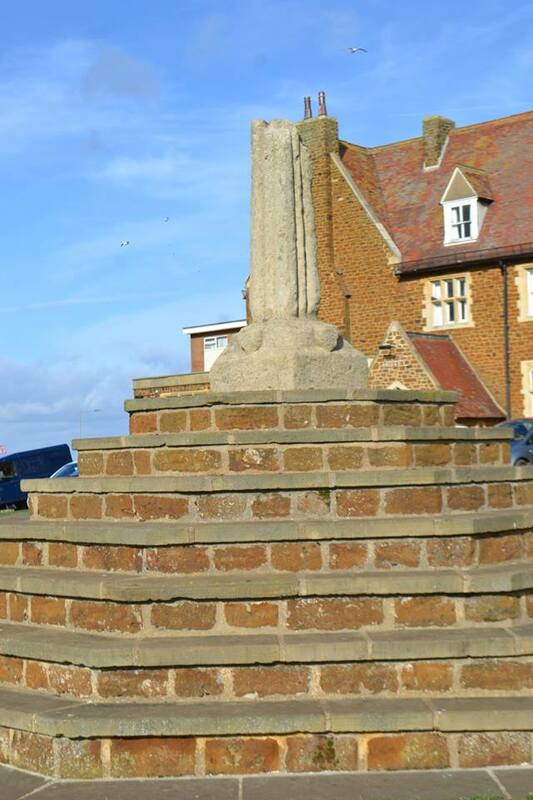 In 1813 the head of a processional cross was found ‘on the Walsingham Way, by Attebridge. 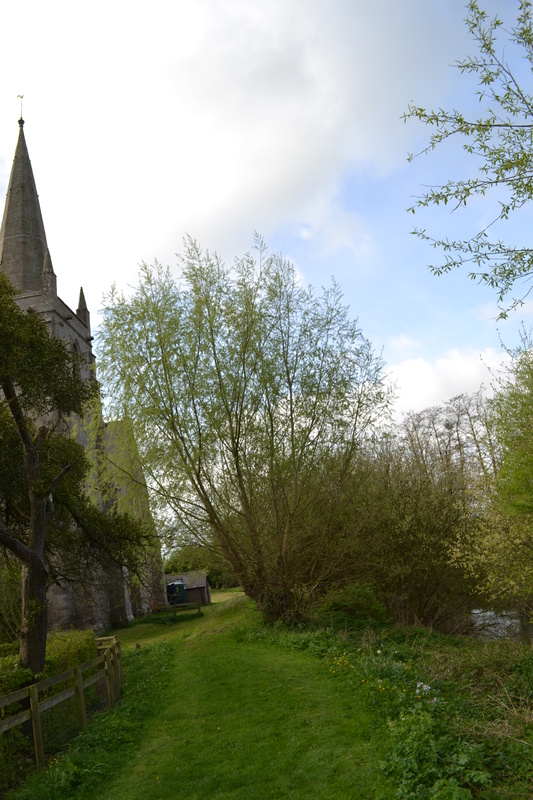 A hermitage and possibly chapel are said to have existed at Attelbridge. To my mind this seemed the most plausible site, but perhaps one day an old map will appear which will settle the matter. From this spring, St. Walstan’s body would be ceremonially carried by two white oxen to his final resting place. 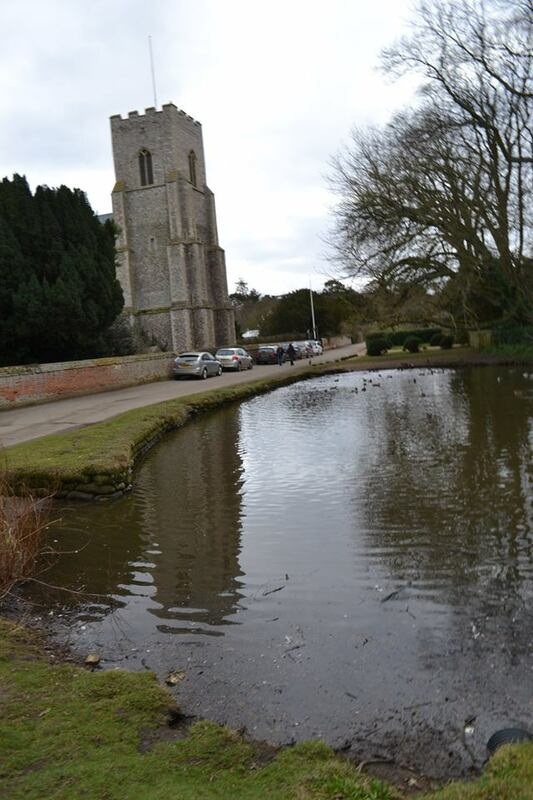 After considering the sites and resting a moment at Taverham’s typical round tower church of St, Edmund, I crossed the Wensum river like St Walstan did and one my way to the second spring. Well which well is it? This is without doubt the most famous site of all holy wells and indeed Christianity in the county, now the main well is perhaps a modern one (we’ll explore its provenance below).) 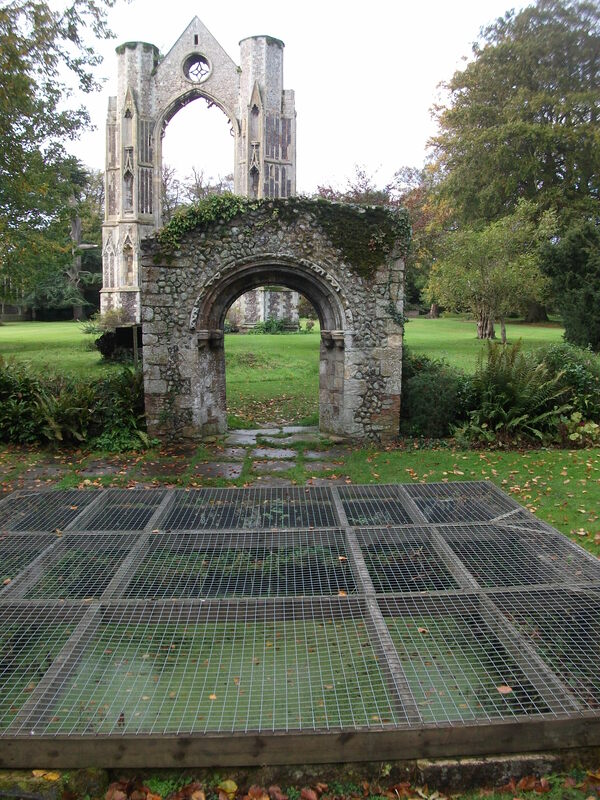 but in the ruins of its famed Abbey are ‘Wishing Wells’ clearly holy wells, the more likely location of the 1061, vision of Mary by Richeldis de Faverches,, who built a replica of the Holy House where a spring arose. The site became a major pilgrimage centre and its waters were said to be good for curing headaches and stomach complaints. If these are the original site, after Reformation, they denigrated to mere wishing wells. Howeverr, most attention quite rightly is directed to the well enclosed in the modern Anglican shrine. 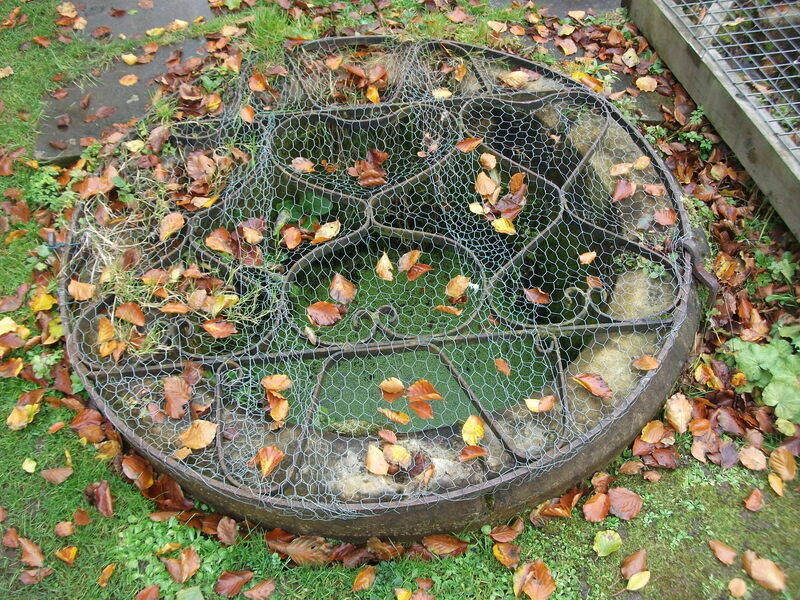 A site which now could be classed as one of the most active holy wells in the country, Our Lady’s Well. This is the central focus of modern veneration at Walsingham. Its history is difficult however. It was during the digging for a new shrine in the 1930s.The shrine needed a well and this was convenient Consequent excavations revealed did suggest that this well was Saxon and thus as near the site of the original Holy House thought to be the original shrine. However this is difficult to prove. 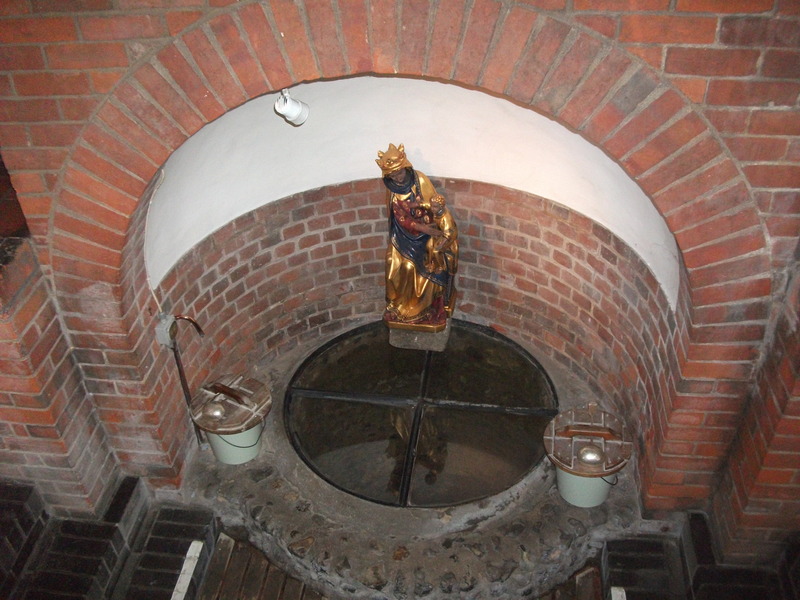 Now enclosed in a modern shrine, above this well an effigy of Our Lady with infant Jesus, is placed in as a centre piece of this modern arched alcove. Local belief suggests that an underground conduit connects these wells to the Anglican well of Our Lady, their source. Little Walsingham was once the greatest shrine in Europe, with commoners and kings all following the many pilgrim paths to the shrine of ‘Our Lady of Walsingham’. It had a sacred image of the Blessed Virgin Mary, a phial of her milk, and many other spurious relics, not to mention the two miraculous wells in the priory garden. In 1061 the Lady Richeldis de Faveraches, wife of a Norman lord of the manor, is said to have had a vision at Walsingham in which the Virgin Mary appeared to her, took her in spirit to the ‘Sancta Casa’ – the home of Christ in Nazareth – and commanded her to build in Norfolk an exact replica. Aided by angels, the shrine was built of wood and later encased in stone, the site being ordained by the welling up of two clear streams at the behest of Mary. Rumours began to spread that Mary herself had fled there before the threat of invasion, and then that the chapel was the Sancta Casa itself, transported there by angels. “Before the chapel is a shed, under which are two wells full to the brink; the water is wonderfully cold, and efficacious in curing pains in the head & stomach. They affirm that the spring suddenly burst from the earth at the command of the most holy Virgin”. These are circular wells and a square stone bath can be found near an isolated remnant of Norman archway in the priory ruins, in the grounds of a house called Walsingham Abbey. The wells are most noted nowadays for being wishing wells. If you remain totally silent within about 10 feet of the water, you should kneel first at one well, then at the other, and make a wish as you drink – but tell no-one what you wish for. Committing one error in the ritual is said to be fatal. Another version mentions a stone between the wells on which one must kneel with their right knee bare, then put one hand in each well up to the wrist, and drink as much of the water as you can hold in your palms. Provided your wishes are never spoken aloud, they will be fulfilled within the year. 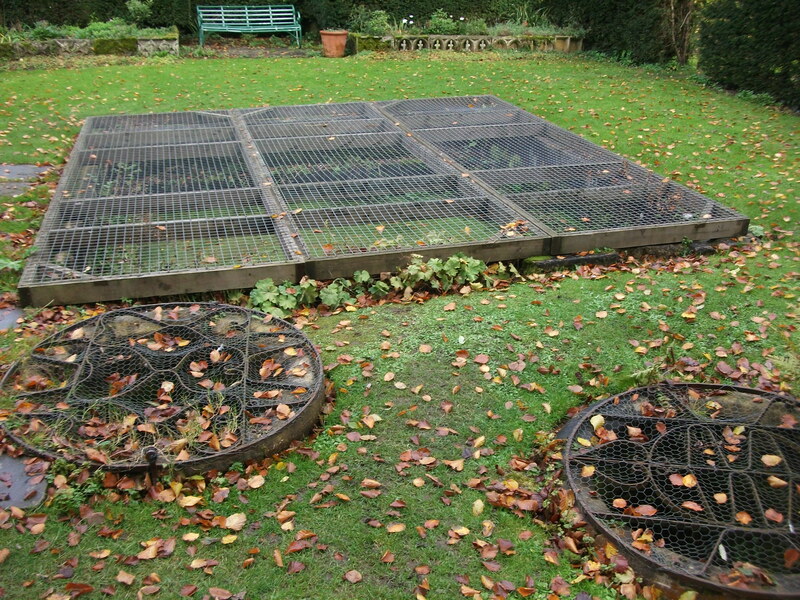 On my visit I was keen to try it out…but found the wells covered by metal grills. More on Norfolk’s holy wells in the forthcoming Holy Wells and healing springs of Norfolk coming in 2017. For the final examination of water veneration finishing with one of the most distinctive objects. 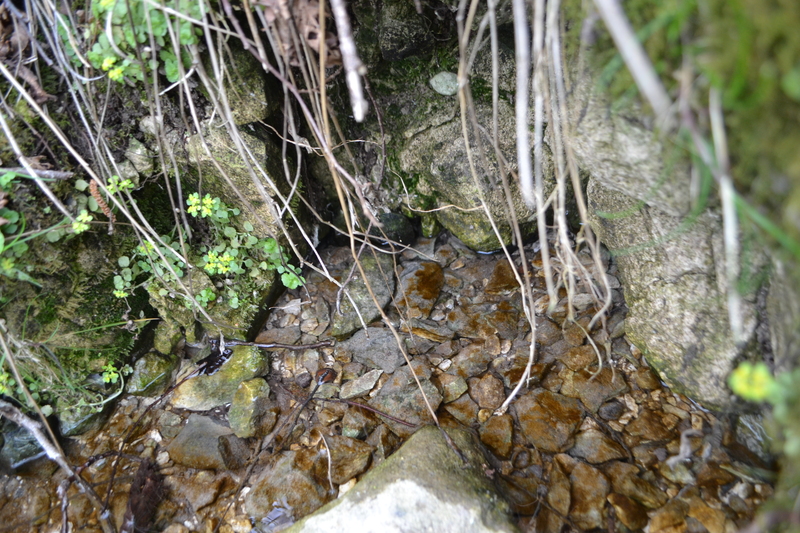 Of course the most important aspect of visiting a holy well is to take the water. However, sometimes it is not possible to drink the water in situ often it had to be given to some in more need for example far away. However, no run of the mill vessel would do, no one would need an ampulla, a small bottle or vial, often made of pewter or terracotta often sealed over to be broken open when received. 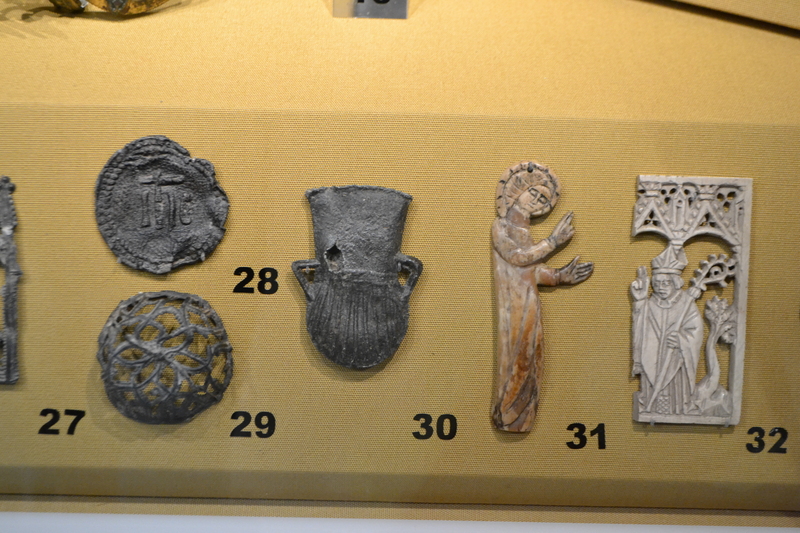 It was often worn around the neck and did itself act as a sacred souvenir much like the allied pilgrim badge, deposits at river crossings in particular showing that they themselves acted as a votive offering. Of course, we are unaware what holy well it came from of course, it may have not been from Devon of course. The most active holy well in the county, St. Winifred’s Well at Holywell, unsurprisingly has a long history of producing ampullae. A mention is even made in her 1130 first Life where the priest fills a lagena with the water, which was ‘transmitted everywhere to the sick, and drunk’ certainly by 1620 ‘little bottles’ we being used. In revival of the pilgrimage under Fr Beauclerk S.J., in the 1890s, a 250mm bottle was specially tall which held an image of St Winifred, with the words ‘St Winefrides Well Holywell’, and Fr Beauclerk’s. An advert in the The Holywell Record of May 1896 stated that ‘a bottle of water can be sent post free to any part of the United Kingdom’ a promise I believe that is still upheld although the bottle and postage is now paid. A longer account of the development of these bottles post 1890s is given in this article. 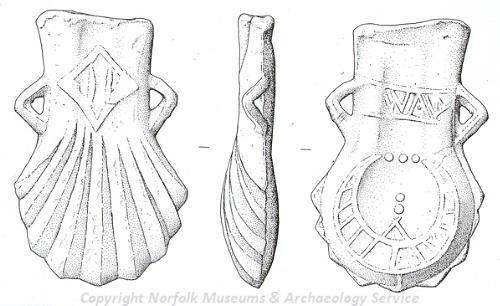 Similarly, at Walsingham small bottles are provided with the image of the vision to Richeldis in 1096 with the Virgin hovering above with the spring below the Lady Richeldis showing how to build the Holy House. 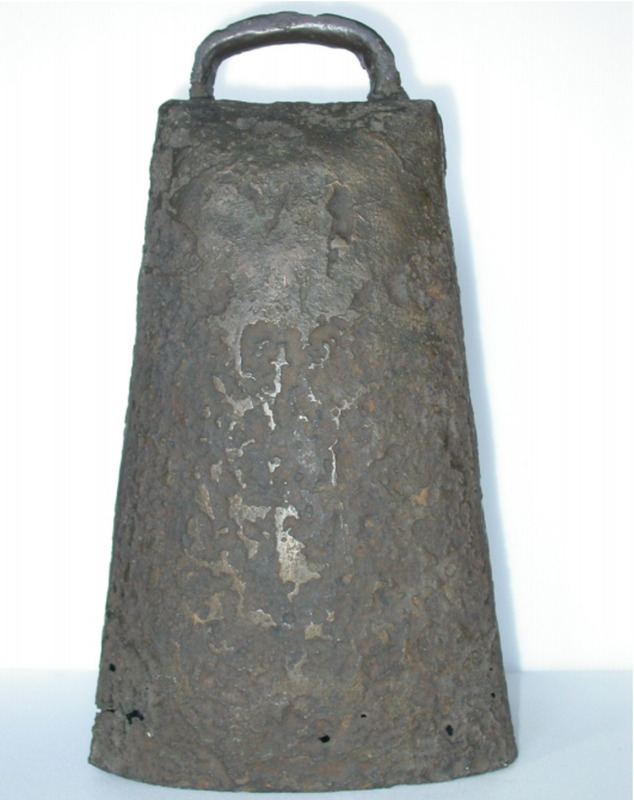 These were an improvement of the simple medieval ones with a cross and a W.
And the trend for ampulla is still present and can be seen at ‘new’ holy wells – Lourdes and Fatima – suggesting that the basic function of the holy well has not ceased!